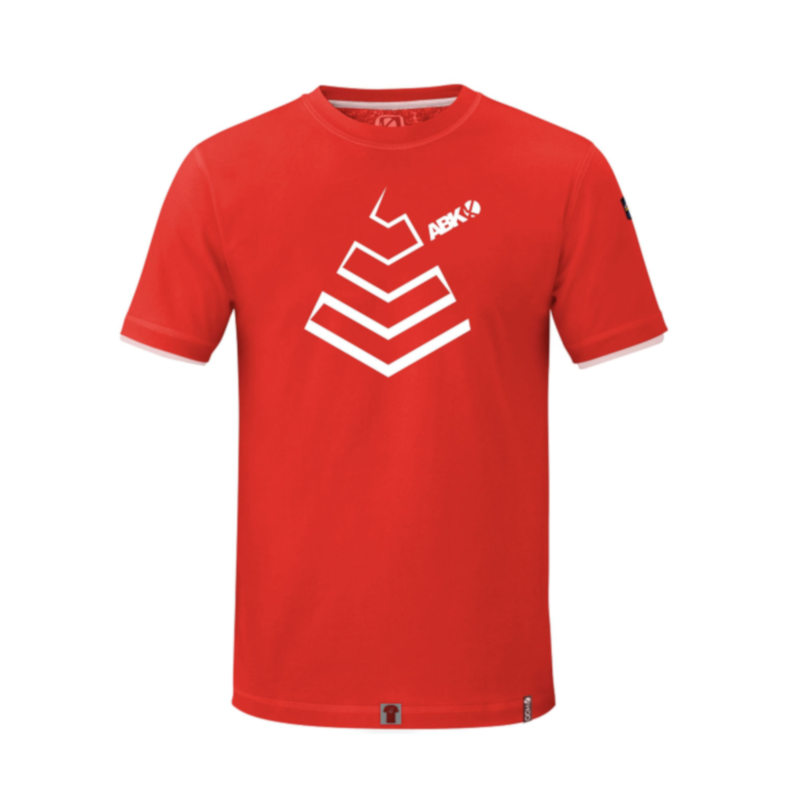 The Ecaille Tee by ABK is a stretchy T-Shirt to climb in or for any other outdoor activity. It is made of organic cotton and available in spicy (orange) with white double contrasted sleeve finish. It features a unique ABK design on the chest in white, écaille means shell in French.